Leaving Vernon, BC, head east on Hwy 6 to Lumby. Go past Lumby for approx. 2 km. Turn Right on Creighton Valley Road. Follow Creighton Valley Road for 6.5 km. 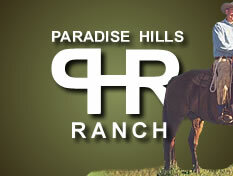 Turn into Paradise Hills Ranch (#648) on right hand side and follow ranch road for 1.5 km.